So much for "not causing permanent damage"
Among OCEARCH's plethora of media seeking lies comes yet another one. 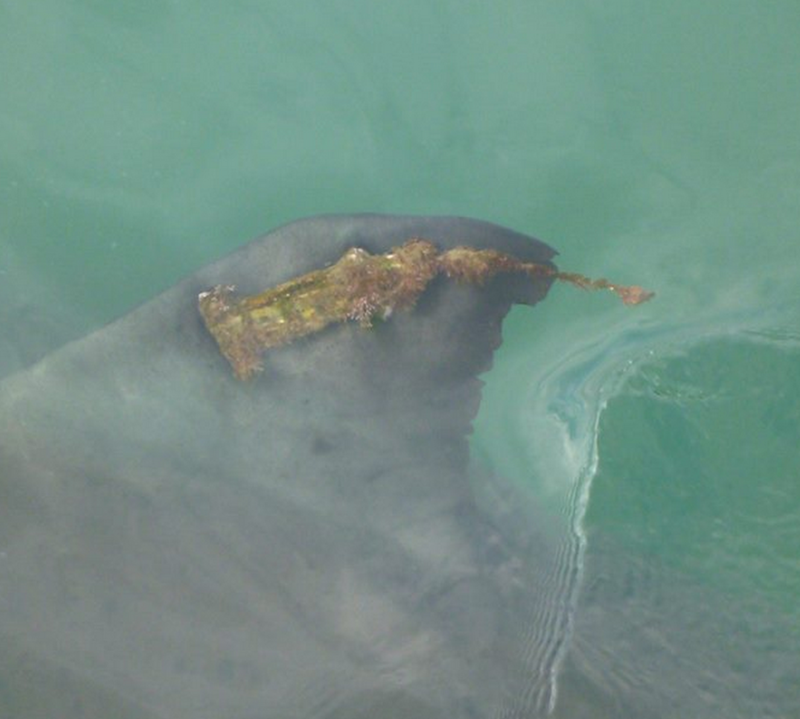 Even if Lydia was pregnant when she was tagged, the removal of this shark from the water most likely caused a spontaneous abortion. There is no evidence supporting the claims of the shark being pregnant. 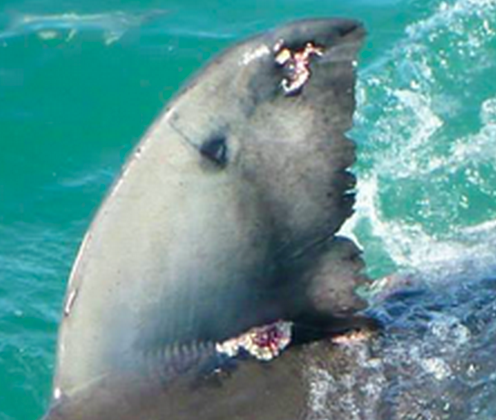 No more than the first trans-oceanic white shark that was tracked more than 20 years ago. Yep. More than 20 years ago. Not by OCEARCH and not using a SPOT tag. The only thing new about OCEARCH is the amount of money they spend to make sure they stay in the news and dupe people into thinking they are leading the way in shark research. Time for a wake up call America. If you’re like 90% of our star-worshipping, TV educated population, you’re having fun cheering for a group of TV personalities who’ve been given the green flag to go big-game fishing under the guise of research. But enough is enough and its time to consider the facts. Every single article about OCEARCH and their incredibly inaccurate smart phone app is accompanied by a familiar site; a very big shark flattened on the deck of a boat with Brett McBride or Chris Fischer standing heroically nearby with their million dollar sponsors’ name conveniently framed within the image as well. Coincidence? No. Not even close. A shark in the water just doesn’t get the press that a conquered giant laying next to the angler that pulled it out of the ocean does. Despite common misconception, the truth is that OCEARCH hasn’t done a thing to save sharks except make people sitting on their couches at home think they are part of the game by checking in on the app from time to time. No, the sharks haven’t benefitted, but OCEARCH on the other hand...they have grown in popularity and wealth. What’s the difference between OCEARCH and real researchers? OCEARCH spends its money and effort on self-promotion while scientists who care about the animals spend their time and money on actual research. OCEARCH moves from one spot to the next, gobbling up as many sharks as possible, hauling them out of the water and posing for pictures with the biggest, most sensation worthy sharks. Research? Left to someone else to do. Conservation? Let someone else handle it. 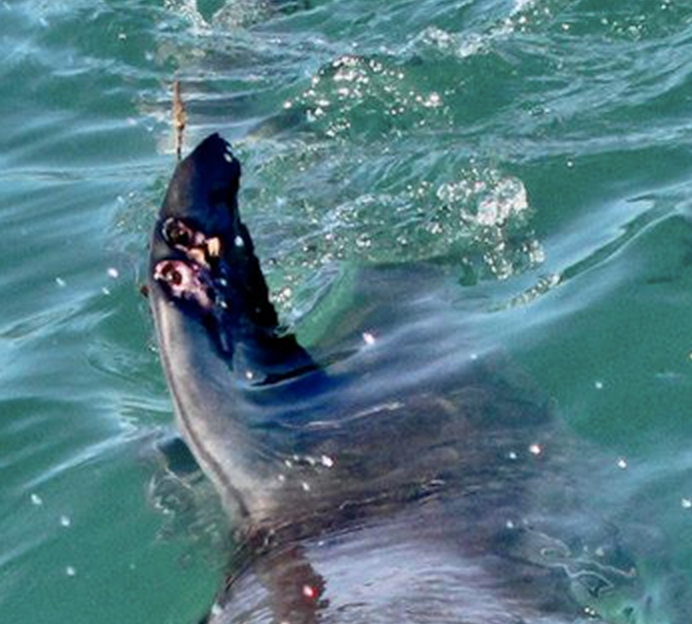 OCEARCH is busy making sure the handful of sharks whose tags still work are making the news. No news is bad news in OCEARCH world therefore headline grabbing boasts are fed to irresponsible journalists willing to spread lies. Sharks don’t need to be hauled out of the water the way OCEARCH’s sharks are. OCEARCH loves to self-proclaim their work as unprecedented. Well, it’s been done before, then abandoned. It isn’t the best way to conduct research...not for the shark or the researcher. 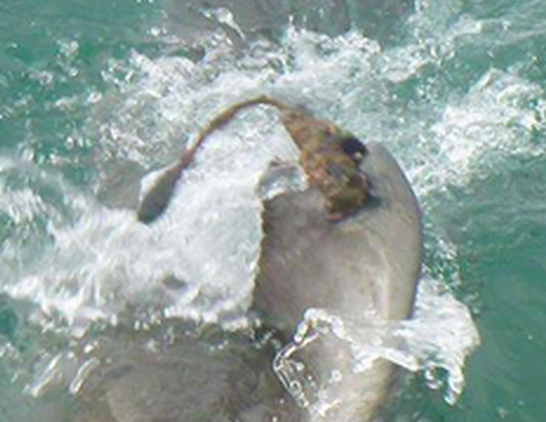 9 of 10 researchers choose acoustic tags over SPOT tags when given the choice between the two. As for the shark tracking app...well, that’s not unprecedented either. The amount of money spent on making sure the public has heard about OCEARCH’s app is what’s unprecedented, but that’s about it. In the meantime, other shark tracking apps are out there, and unlike OCEARCH, these apps don’t require the harming of the sharks or SPOT tags and are also much more accurate and are actually in real time. Remember when OCEARCH claimed their app was in real-time? Nope. And when confronted they changed their claim to “near real-time”, whatever that means. The amount of money OCEARCH spent on the Cape Cod Expedition alone could have lined the entire North Atlantic coast with acoustic receivers, which would have provided more accurate tracking of the sharks over a larger area and provided this information fast enough to allow beach closures if necessary. Oh, and these mighty warriors of the ocean...well, they were ferried back to a $500 dollar a night per room hotel in Chatham every evening. Brave men. Risking it all to save sharks.